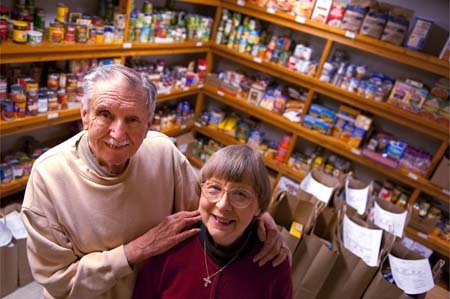 If you are hungry and searching for food in Aroostook County, you will find a list of our 22 food pantries here. If you are lucky enough not to know the physical and emotional pain of hunger, keep reading to find out more about what we do, who we serve, and how you can help. With rising food prices, the struggle to feed our neighbors in need gets more difficult — please give what you can today. Clothing donations urgently needed! And we are also seeking donations of used furniture, appliances, household items and building materials. Arrange a pick up or call our Presque Isle office at (207) 493-8919. We’d love to see you and thank you in person! We desperately need volunteers to assist us in sorting food, unloading trucks & processing donated household items. Find out where you can pitch in here. You get a good deal and someone gets a good meal! Shop our Threads of Hope thrift stores in Monticello and Presque Isle!